Hello there! 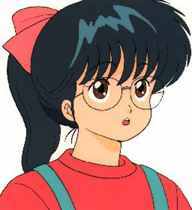 My name is Kasuga Manami, younger sister of Kyousuke, my hapless oniichan. You'll find me most of the time cleaning and mending our Green Castle home. But I do manage to find some time to help out Master with this web site. SuperKOR Master is away hunting in the cybernetic badlands for superduper KOR links out there for your enjoyment. In the meantime, I'll be your guide to lead you through all the hot spots. But first, here's a prerecorded message from Master himself. Hi folks. Hope you are enjoying your stay at the SuperKOR Paradise Pages. First of all, let me explain my motivation for creating these pages. Way back in the autumn of 1995, I found it extemely difficult to keep track of the KOR pages on the net which I found in the search engines. There wasn't really a comprehensive site containing all the main KOR attractions, so I create a page for my own personal use. It was much easier than trying to find the site again through complex search queries. From that auspicious beginning was born the SuperKOR Paradise Page. Soon the volume of links began to grow and grow, and soon I had to create more specialized categories to keep from getting confused. I thought my job would be over with the creation of the Anime Web Turnpike, but I was wrong! While being the definitive anime directory site, it only contained a dozen KOR links, which is really inadequate for my KOR needs (and yours too, I imagine). I found other sites with long listings of KOR sites (about 20+ or so) but unorganized and unchecked. I found those sites very frustrating. Last, I thought about web rings, but after visiting some Anime WebRings, I found them to be too fractured or too limited to be effective. Plus it would be a big hassle to organize. Finally, I decided to keep improving my pages, since it builds on the strenghts of the various sources listed above. It acts as the singular web ring, since virtually every KOR page out there is listed in plain view for one to choose from. It offers focused, directory categories like Yahoo. And last, it offers a large, wide, easy selection of sites to choose from. Now we're up to iteration 4 for my pages with over 300 links for your perusing pleasure. I hope you enjoy it! Bet you didn't know that you could actually click the tiny pictures above to move to different sections? But you can, so you can take full advantage of it from now on. (zip): In a pkzip format. My/Recommended Links: This section contains a quick list of all original pages of the SuperKOR site and various good sites to visit of KOR dignitaries and personalities. It also allows you to return back to the main entry page or read/sign the guestbook! KOOL Section: The KOOL links section is divided into 2 major parts. One is the main KOR attractions of the main KOR pages on the net. The second section is the second tier of pages comprising of information, reviews, or general homepages. You can click the Madoka picture shown to jump to the second section and click the picture to jump back. Try it! Now here's a quick description of each of the various sections. Shrine Pages: Contains shrines devoted to favorite KOR characters. Shin KOR Pages:These are pages devoted to either the new Shin KOR novels or movie. Song Lyrics Pages: Contains links to KOR song lyrics pages. KOR CD Pages: Has sites devoted to specific KOR CD collections or information about KOR CD's released over the years. Music Review Pages: Contains reviews of various KOR CD's, songs, or other music. KOR Guides and Info:This contains mostly FAQ, general cast listing, and other tidbits of information. KOR Reviews:This contains reviews of the various KOR medium. This is very similar to the "Personal Commentary" section. KOR Articles & Postings:This section contains articles by notable online zines and anime magazines with KOR as the main focus. Quick Intro:This contains just a brief introduction on what the series is about. Personal Commentary:This contains the personal opinions and comments of those who saw KOR. Evangelists:This contains pages which analyzes a facet of KOR in depth or just plainly explains the greatness of KOR in detail. General KOR Pages: These are generally multpurpose pages which contains at least 2 of the above categories elements listed above. Usually, it has an intro, review, character guide, image gallery, CD song info, etc. Note, I made a distinction between the "elaborate" and "simple" sites. Foreign KOR Pages:This contains KOR pages in various different languages listed. Resources Section:This contains the links to the image galleries, cels, quicktime movies, midi and other audio sites. As with the last section, it is divided into 2 areas, one being mostly the image gallery sites and the second section being the rest of the resource goodies. Again, you can click on the beginning picture to jump to the second section and vice versa. Superstuff:Like the name proclaims, it contains the most comprehensive collection of major KOR pictures period. Check these sites first! Collections of KOR pics:This is the other image galleries of KOR pics on the net. "Extensive" implies a wide collection of at least 30 pics. Usually, they contain the triangle "GIGA" pics. "Medium" means the site carries the range from 11-30 pictures. "Artsy" sites are well presented picture sites of which some contain some unique, obscure pictures. Last, "small batch" section refers to very small collections of 2-10 pictures of people's favorite KOR pictures, usually of Madoka. Last is the "Single Pic" section which means the site just carries a lone KOR pic. FTP/Listings is just like it sounds. Either it is a link to a ftp site or is just a plain listing of pictures. Note that now, I've included in parenthesis the number of pictures in each site. I hope this makes it easier to navigate through. Picture Cels:Contains strictly KOR cels. Specialty Pics:Sites contain specifically some pictures of KOR merchandise whether is is CD, manga or OAV covers, posters, shin novel pics, promotional pictures, etc. I've included section headers here to make it easier to figure out which is which. Note that some of the merchandise pictures are in sites which sell these items, so if you like what you see, then feel free to buy them from any reputable vendor! FanArt:This contains fan-based creation of KOR, whether it's sketched/drawn or computer-generted. I've included section headers to differentiate between the two. Models: Specifically contains garage or model kits of KOR characters. E-Cards: Contains electronic postcards of KOR which you can send to people! Decoration: This are stuff for decoration such as browser backgrounds or good to look at such animated gifs and such. Win 95: These are specific Win 95 modifications to the system such as wallpaper, system icons, etc. Prog Enhancements: Contains program modifiers or enhancements to reflect the KOR in you! Animation Theater:Contains movies of KOR in quicktime, avi, mpg format, or any other animation format. Sound/Audio Section:Contains all the audio of KOR. Divided into "midi" sections and "other sounds" section. "Other sounds" is of clips or songs in wav, au, aiff, mod, realaudio, mp2, or mp3 formats. Colorful midi sites just means the site looks colorful when presenting the midi files. MISC:This area contains all the other links that could not be classified in the "KOOL", "RESOURCES", or "STORIES" areas. It includes java animations, various voting and rankings, fun stuff, merchandise selling area, and in-depth seiyuu/personnel section. HodgePodge:Contains other interesting or oddball KOR sites. KOR Trivia: Gives you some interesting fun facts of KOR. KOR Fast Facts: Gives you just plain, mundane information such as dates, times, char names, etc. Background Info: Provides links to sites that help provide background to some of the events referred to in the KOR world or achieve a greater understanding of KOR in general through these cultural links. Voting Booth:Contains links to sites where you can vote for KOR in all the major areas. Anime Rankings:Contains results from various polls or personal opinions of the stature of KOR. Anime Ratings: Contains just the "star" rating of the anime and has no review. Production: Refers to the countless organizations responsible for releasing KOR-related material. FanSub Stuff:Organizations who distribute KOR fansubs. KOR Influence: Contains sites which some way or some other was influenced by KOR. KOR Mention: Contains sites which mentions KOR briefly. Quick Blub: Contains sites which not only mention KOR but also adds in a few lines of comment. KOR Reference: Contains articles about a general topic which cite KOR as an example. Favorites: Links to various people who took the time to state that KOR is one of their favorite anime. Oddball Stuff: Contains some really wierd, off the wall stuff, bizarre stuff. For Sale: Provides you with a few links to purchase KOR merchandise from some of the major anime vendors on the net! Split up into videos, CDs, printed material, and novelty. KOR Seiyuu & Personalities List:A comprehensive index to all the individuals involved in the KOR saga. This includes voice actors, singers, authors, producers, and artists. Stories/Fanfic:Contains the "library" where you can read all about KOR. Contains shinkor novel sources, tv, manga translations, and fanfiction. Shin Kor Novels:Contains sources to shin kor I and II translations. TV/Movie: TV scripts or summaries or listings. Manga: Links to manga translations and chapters. Quik Bits:Contains stort, funny quips about KOR. Parodies: Contains links to parody sites of KOR. Funny Stuff: Contains funny material relating to, referring to, or revolved around KOR. Fanfiction Section:Contains links to various KOR series fanfiction. Centers are resevoirs of KOR fiction, while main series refer to those series which are popular or have at least 6 stories in the series. Minor series refer to lesser known or short series. Short Pieces:Contains links to one-shot KOR stories or pieces. Short-fic Crossovers: Contains links to one-shot stories involving crossovers of other anime series. Fanfiction Centers: Refers to major sites housing a lot of KOR fan fiction. Fanfic Authors: Points to general pages on authors containing their various KOR fanfic works. Secondary Series: Refers to the second tier of fanfiction series written about KOR. Adult Stories Section:Contains links to more mature fanfic series and stories. Viewer discretion is advised! That's the end of the tour for navigating around the SuperKOR pages. I hope you found it informative and enlightening. If you have a question or suggestion, please send it to rk@csua.berkeley.edu. Duomo!